According to sources, Microsoft is supposedly considering the launch of a renewed bid to acquire Yahoo a mere three years after first attempting to do so. In order to complete the potential acquisition, Microsoft might seek to partner up in the deal according to a report from Reuters. Microsoft's internal management team is divided on whether to make another bid at Yahoo, which has recently been deemed one of many struggling online media companies. In January of 2008, Microsoft offered over $44 billion in order to acquire Yahoo in an unsolicited bid. The management team at Yahoo eventually blocked the deal which ultimately led to a sharp decline in the site's stock price as well as the ousting of CEO at the time Jerry Yang. Eventually, both Microsoft and Yahoo agreed on a search partnership. If it decides to move forward with the new proposition, Microsoft would acquire Yahoo at a major discount. The stock of the internet company has taken a major beating in price since the rescission of Microsoft's acquisition offer. Shares for Yahoo dropped from a high of over $29 in the beginning months of 2008 to less than $15 when the company fired CEO Carol Bartz. However, with the news of a potential new acquisition bid from Microsoft, shares have risen by more than 9%. A majority of Yahoo's value is tied to its Asian assets, most notably China-based Alibaba Group. The 40% stake in the company held by Yahoo is estimated to be worth more than $13 billion and Alibaba is supposedly interested in acquiring Yahoo as well, though U.S. laws governing foreign acquisitions could put a damper on the deal. 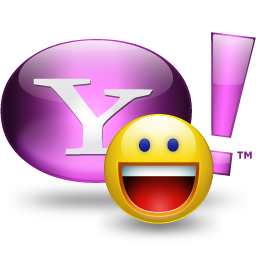 News Corp, recent seller of MySpace, is also said to be interested in acquiring Yahoo as well. Regardless of who acquires the company, Alibaba will be either a key player or key partner. The company has the right to buy back its shares from Yahoo if control of the company ever switches hands. Source: Mashable - Will Microsoft Make Another Run at Acquiring Yahoo?